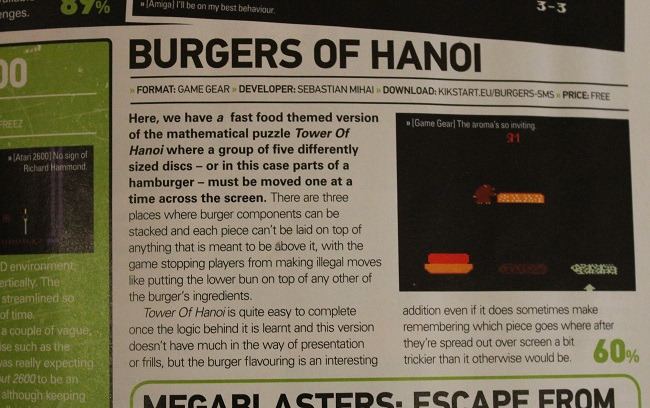 Burgers of Hanoi GG is a Sega Game Gear homebrew game which is a straight port of the original Burgers of Hanoi, which runs on the Sega Master System. 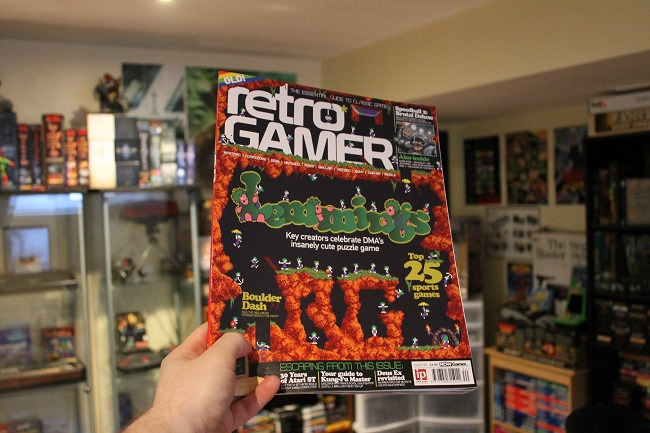 The Retro Gamer magazine to which I'm subscribed featured an interview with a past developer who mentioned how many third party software houses drifted away from Atari platforms and to Sega, because they could very easily port games between the Master System and the Game Gear. Porting Burgers of Hanoi was very easy. I was pleasantly surprised when I realized that I could rename the .sms ROM to .gg, and the emulator would gladly load, recognize, and run it as a Game Gear game. It ran, but everything was blue and pink, with the burgers partially off-screen. I then went to work to reduce the width of the burgers, to account for Game Gear's smaller screen. 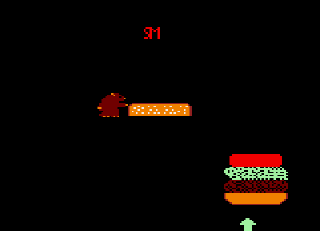 Once everything was again fitting on the screen, I figured out the palette modifications to get the burger ingredients to use proper colours again. The last thing I had to do was get Burly Bear to be brown again. He went from invisible (black), to blue, to white, and finally, to brown.